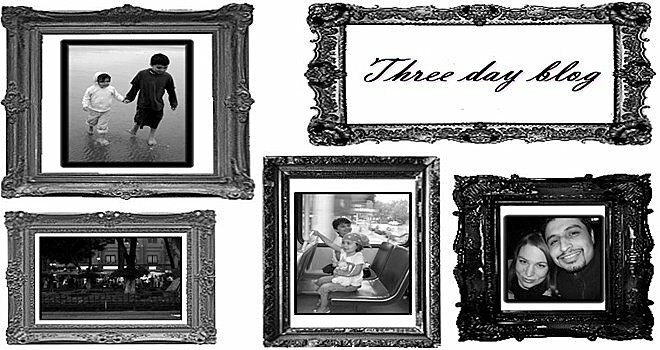 Bienvenidos a three day blog. If you've just stumbled your way here or you arrived from a Google search (you know who you are), you may want to visit my about me page....and then subscribe to my RSS feed because, yes---I am that addictive. Poor Anthony has the stomach flu. Let me tell you a little something about our Anthony. He hates to vomit...he even banned me from saying the word, he hates it so much. He gets it from me. I haven't done any of...you know what since 2001. Yes I am proud of that. Irene took after Edgard and is the "anything to make you feel better" camp of thinking. But back to Anthony.... Edgard and I thought we would give him some activated charcoal to help him along, considering he is literally willing himself not to upchuck. We had to break the pill open in water because he doesn't do the whole pill swallowing thing well either. He took one gulp and it grossed him out so much he vomi...well... let's just say it was a very successful venture. He successed and successed. He successed into the garbage and successed into the toilet. Anthony is now clutching his gatorade to his chest as we wanders around the house humming. He feels better but is so chalky, he almost looks like a white kid! I'd say sorry January first. At least I know what to do for my dad...I will just finish the scarf I started knitting for him last Christmas. Won't he be surprised.... ....that I finished it. In my defense it is 21,000 monotonous stitches. It is a pattern from WWI. The kind of pattern you knitted and then sent to your men at the front. 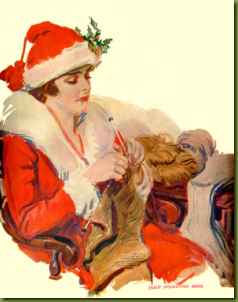 It was part of that whole "knit your bit" campaign started in WWI and made popular in WWII. The pattern calls for wool but I am doing superwash merino wool which means that there is no shrinky or scratchy. 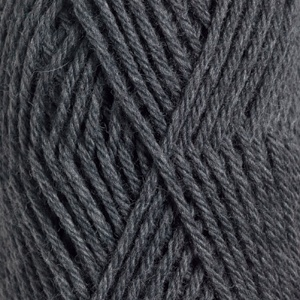 It's a soft charcoal grey which I think will look great with his black pea coat. And anyway it truly is a gift that keeps on giving. I figure that for at least the next five Christmases I can hold it up while I am knitting on it and say... "I'm still working on your scarf, Dad." Poor patient guy. My mom is also a trooper as last year was my first all knit Christmas and also I hadn't learned too much about fibers so I was still of the red heart super saver yarn frame of mind. Her scarf was a beautiful pattern but ended up being scratchier than if it had been of wool and worse yet, it curls up on the sides. Now I just need to figure out what to make for everybody...luckily most of my list are comprised of females. They are easier to knit for. Dudes are harder..."Happy birthday honey...I made you a hat." "Merry Christmas honey, I made you a hat." "Happy Valentine's Day honey... I made you a red hat." "Happy Cinco de Mayo honey, I....well you get the idea. I mean really what the heck else can you knit for guys? I may try a scarf for Edgard but he isn't really a scarfy kind of guy. Neither is my dad... but he is an antiques collector kind of guy and that's why I thought I could get him with the whole reproduction WWI scarf thing. I probably shouldn't say reproduction when I give it to him though. I am going to Flock and Fiber this Saturday with three other crazy ladies. Maybe that will give me some good ideas. Well to make a short story long...I am going to be covered in yarn and counting silently to myself for the next few months and hopefully I won't have too much of a hunted look in my eyes....but I am sure I will... But not more so than Edgard...silly boy...he always acts like he is about to get a knitting needle in the leg around that time. I wouldn't do that...I need those needles. It is Irene's 4th birthday today. So far she is still cute so that is good. I suspect that one of these birthday we will wake up to realize she is all arms and legs and very klutzy like her mom. But for now she is still cute---so we celebrate. 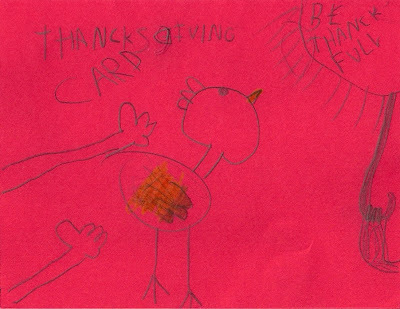 So have a happy Thancksgiving and remember to be thanck full because you never know what is lurking right behind you. I read on a blog somewhere (can't give credit--don't remember which, sorry) where the woman asked her husband which actress he found more attractive: Jennifer Aniston or Angelina Jolie. She hoped he would choose girl next door Aniston as opposed to husband stealer Jolie and sure enough he did. I thought it would be a brilliant idea to ask my own husband---not that I need any extra proof of his marital perfection---but I asked any way. "Who do you prefer...Aniston or Jolie?" Ahhhh...be still my beating heart. pictures I could find of the ladies in question.